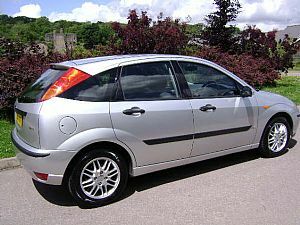 The Ford Focus is one of the the nation's favourite car, and also one of the best. 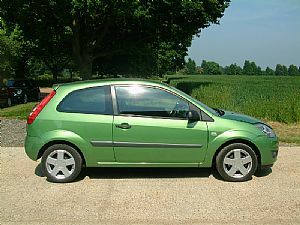 The Focus has topped group tests ever since its launch in 1998. It was the first modern Ford to combine driving excellence, design flair and build quality, which makes it a great used buy. The Duratec petrol engines are bullet-proof, the quirky cabin robust and high mileages easily attainable. The five-door 1.6-litre mid-ranger car is themost popular, with higher mileages but full service histories, they make ideal used buy, as do the later TDCi diesels models. There's more than enough room inside the airy cabin for four six-foot adults, while the boot is well shaped and generous. Height adjustment on the driver's seat, and reach and rake adjustment on the steering wheel, means drivers of all shapes and sizes should find an excellent driving position, while the dash is a lesson to other manufacturers for its clarity and ease of use. It's all put together with a quality to rival the very best in the class. The saloon is less common, but estates make very useful load-luggers. Three-doors are only more desirable in sporty trim levels, where they appeal to younger buyers. The perfect second-hand car? You'll struggle to find better. If you're looking for a second-hand car the Fiesta makes more sense, as it's one of the UK's top-selling superminis. The supply is plentiful, while a range of trim and engine options ensures there's a car for all budgets. The bargain baby may not be the most exciting Ford, but with insurance ratings as low as group two, as well as readily available spares, it will be very cheap to run - and an ideal first car. As with most modern Fords, the Fiesta is fun to drive. Light steering and pedals make it a good novice choice, but on a winding road, the handling matches the class leaders'. While smaller petrol cars are adequate, the 1.4 TDCi diesel is our favourite, as it provides great economy and acceptable performance. The driving position is comfortable for most, but the seats don't offer the best support. And while the Fiesta has a generous boot for its size, especially with the rear seats folded, the lack of an external boot release can be a pain. If you'd rather keep your money in your wallet than in your fuel tank, you should consider purchasing a Fiesta. Over a one-year test, it has been found that the TDCi LX is one of the most economical cars on the market. The little Ka survived virtually unaltered for eight years - a testimony to its original design. Only in 2003 were major changes introduced: an all-new 1.3-litre Duratec engine was offered. However, a long production run - along with cute, timeless looks, fun handling and value for money - have made the car hugely popular among used buyers. The original 1.3-litre model is a near-unbeatable package for the money. 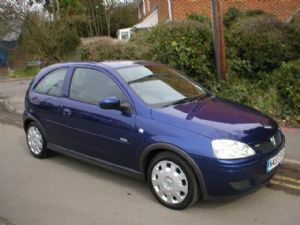 The Ka has scored highly for running costs but the brakes, performance and overall comfort attracted criticism. 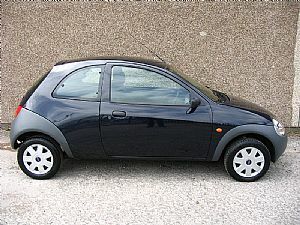 Nevertheless, if you're after some cheap chic you could do a lot worse than buy a Ka. Early models can look scruffy, yet a more recent example - or one of the many limited editions - has plenty to offer at a price that's hard to beat. There's no denying the phenomenal success of Vauxhall's Corsa. Keen pricing, good build quality and a youthful image mean it's a strong seller. And the model's hardy mechanicals make it a fine used buy - particularly with prices starting from as little as £3,000. The Corsa is a spacious supermini that aims to offer the refinement and composure of its bigger brother, the Astra. Easily the most popular engine is the 1.2-litre petrol, which is economical, refined and sprightly, while the 1.4 unit impresses, too. The 1.7-litre DI and DTI diesels are average, but the newer 1.3-litre CDTI is excellent, although it commands a hefty price premium. No Corsa is lavishly equipped, but the most popular SXi has electric windows and remote central locking. The car is also cheap to insure and is a good tip for easy sale in the future. Despite the success of the previous Corsa, it never cut it against the competition in the area of driver appeal. The new model addresses this, and is class-competitive. While the styling isn't a radical departure, the latest Corsa sits on a new platform, so it offers more space and is stronger and safer. The ride and handling impress, as do the range of engines. Buyers get a thoroughly competent and enjoyable drive in an all-round package that's hard to beat. All third-generation Corsas need servicing every 20,000 miles or 12 months, regardless of the type of engine or its capacity. 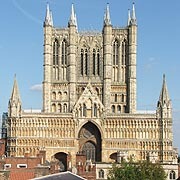 Taking the first four check-ups in order, typical costs are £120, £200, £120 and £240 respectively. This includes fresh brake fluid where necessary. The air-con should be recharged every two years at £90. However, 1.4 and 1.8-litre petrol engines, plus the 1.7 Di, all have cambelts. Petrol units need a new belt every four years or 40,000 miles, while on the diesel it has to be renewed after 100,000 miles or 10 years, and costs around £230. Entry-level versions are competitively priced but miss out on key equipment. More powerful diesels and higher-spec models look rather pricey, but come with lots of kit. Running costs are reasonable. Big discounts are available, but you will need them to offset the below-average residual values. 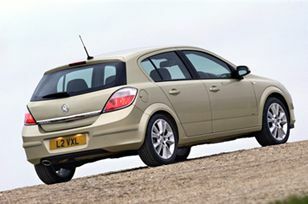 The Vauxhall Astra offers good handling and steering, and grip is also good and the car handles road imperfections well. This may not be the best family vehicle. Larger passengers will find rear seating cramped. For a smaller family with young kids it might work. Other than that it would make a better second car. The Astra would make an excellent first car for those who could afford it. Limited rear visibility may be an issue for more novice drivers, and the car comes with a higher purchase price and insurance rates. Other than that the car’s drivability could suit a new driver. The Astra boasts a good standard of quality throughout. The materials have a quality look and feel, and the car’s roof is well-designed and easy to operate. The car’s attracxtive exterior style will do much to boost the car’s image. The Astra’s build quality appears to be first-rate. Most of the plastics and materials that occupants come into contract with are sturdy and soft to the touch, lending an air of quality that was absent in its predecessor. Vauxhall has a reputation for strong, reliable engines and we see no reason for this to slip with the latest Astra. The Citroen Saxo is a close relative of the Peugeot 106 with a cult following thanks to cheap-to-buy-and-run hot VTR and VTS versions. The Saxo lacks traditional Citroën quirkiness but it's just as nice to drive as the 106, once you get used to the offset foot pedals. Economical and willing engines, a spacious interior, and above-average ride comfort for a supermini. The two hot hatch versions - 1.6 VTR and VTS 16-valve are brilliant. 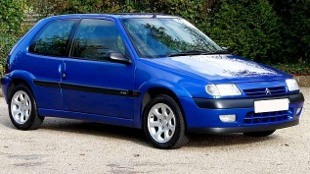 The range received a make over in late 1999 with facelifted Saxo 2 versions. The 1.1 litre is well-suited to the Saxo chassis, nippy around town and able to hold its own on the motorway. The hot 1.6 VTS is torquey with brisk acceleration, while the warm VTR is pleasing to drive. Sales of the 1.5 diesel are not strong as it's a clunky, noisy old unit that vibrates too much. With petrol engines achieving upwards of 40mpg and typical Saxo usage being short trips, the oil-burning option is seen by many buyers as unnecessary.